Welcome to KidLit411's COVER REVEAL SPECIAL! 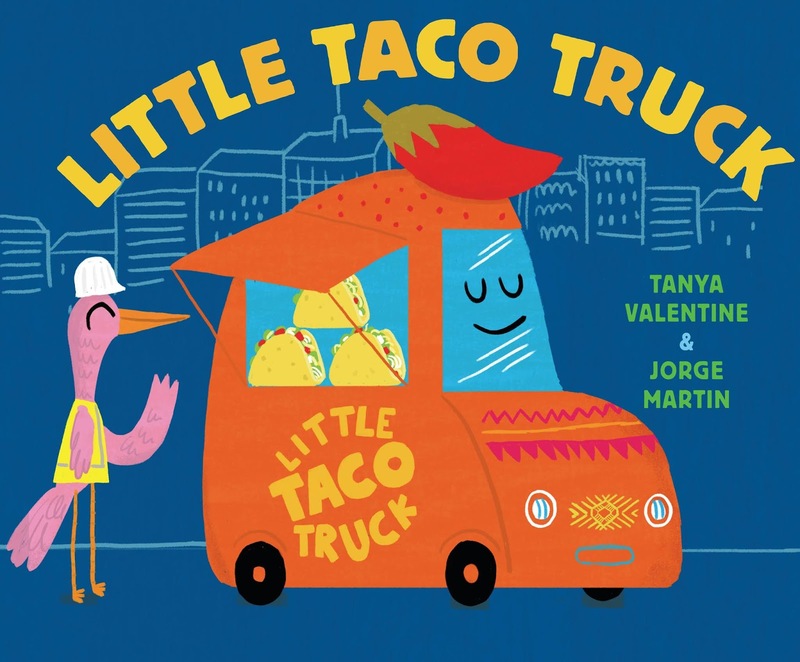 We are pleased to reveal author Tanya Valentine's LITTLE TACO TRUCK (Schwartz & Wade, 2019) illustrated by Jorge Martin! Check out these interior spreads! We can't give any more of this delicious book away but you can enter to win a signed copy by the author in the Rafflecopter below! Or guarantee your copy by pre-ordering here! Yay! Love the cover, Tanya!! That's exactly what I thought, as soon as I saw the images. Simply adorable! Love the bright colors. Looks like a fun one! So excited for you and your Taco Truck, cannot wait to see more from this Author. Love the potential for discussing cultural differences with children when Taco Truck meets the others! This looks so sweet! I'm adding it to my wishlist. This book looks adorable! I can't wait to read this! Love this book idea. How cute! Congrats, Tanya and Jorge! Absolutely adorable, bright, and fun! This couldn't be any more adorable! And so appropriate these days! Congratulations! This looks adorable! Taco trucks rule in my hometown of Austin, TX. Great colors! I love tacos and falafels! Thanks to all of you for your kind comments. I am beyond excited to share the art for Little Taco Truck and it means so much to me to read your comments. Love how the variety of food trucks show cultural diversity. Can't wait to read the whole story. What a delicious idea! I can't wait to see it. Adorable! Can't wait to read this! Love the food truck concept! Good luck with this title! I love food trucks - this book looks like it will be fun to share with little foodies. I'm super curious to read Little Taco Truck! What a cute story concept. This is so cute! I would love to share this with my students! !